Amazon has disrupted the retail industry. Does it have its sights set on shipping, too? Shares of FedEx (FDX) and UPS (UPS) both fell Thursday after Bloomberg reported that Amazon is considering its own delivery service. Amazon's stock rose though, along with the broader market. The Dow, S&P 500 and Nasdaq all hit new record highs once again. For it's part, Amazon (AMZN) said it's not looking to replace its current shipping relationships anytime soon. 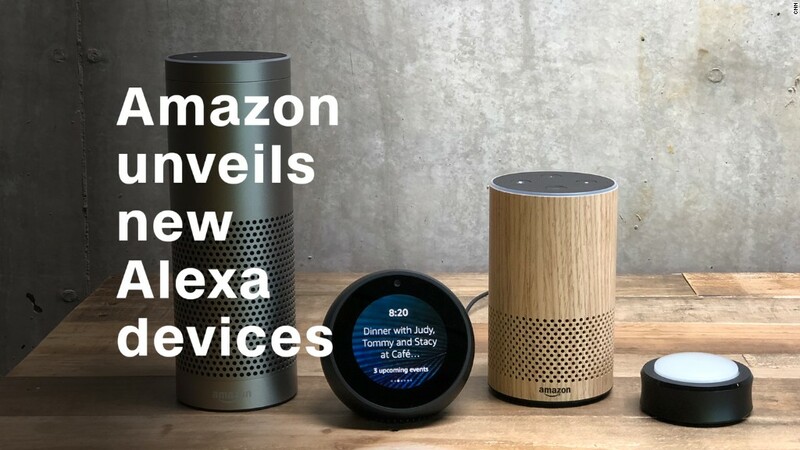 "We are using the same carrier partners to offer this program that we've used for years, including UPS, USPS and FedEx," said Amazon spokeswoman Kelly Cheeseman in an email to CNNMoney about the Bloomberg report. UPS and FedEx don't seem too concerned about the report. UPS spokesman Steve Gaut told CNNMoney in an email that "Amazon is a valued UPS customer" and that UPS plans to continue to support it "with industry-leading ecommerce solutions and [that we] expect to expand these relationships further in the future." Gaut added that none of the company's customers -- including Amazon -- account for more than 10% of total sales. In other words, Big Brown can continue to do just fine even if Amazon starts to deliver more of its own packages. The same may be true for FedEx, which now owns global logistics company TNT Express. FedEx noted in an earnings conference call last year that no single customer accounts for more than 3% of its overall revenue. FedEx spokesman Jess Bunn told CNNMoney that the company had no specific comment about the Amazon reports, but he added that "there continues to be reporting related to our networks and the transportation industry that demonstrates a clear misunderstanding of the scale, infrastructure and complexity involved in running a global transportation network." "FedEx and other transportation providers are innovating as it relates to new services for e-commerce residential deliveries, but that is only one piece of the capabilities that we provide. Demand for our global portfolio continues to grow," he added. The potential threat from Amazon is not a new one. Amazon has already been experimenting more with drone deliveries in order to have more control over the shipping experience for customers and also cut costs. And last year, Amazon struck deals with cargo freight airlines Atlas Air Worldwide (AAWW) and Air Transport Services Group (ATSG). Amazon leases Boeing (BA) planes from both companies. Amazon also received stock warrants in the two companies that, once exercised, will give Amazon significant minority ownership stakes in both airlines. Despite these developments, shares of both FedEx and UPS are both up this year and are not far from their all-time highs. It's important to remember that Amazon is not the only e-commerce game in town. Other retailers, like Walmart (WMT), Best Buy (BBY) and Target (TGT), have been building up their own digital shopping sites. And they will still need FedEx and UPS to deliver for them.